Need furnace repair or maintenance? You’ve come to the right place. We know how stressful it can be to have a problem with your furnace. No matter what the problem is, Patriot Heating and Cooling is here for you. We offer 24/7 emergency service and are often available for same day repair service calls. We have a heating solution for everyone! From the standard 80% efficient furnace to 97% high efficiency, you can be confident that we can provide you with the perfect product to heat your home properly. Our technicians are available for next day installations that work with what’s best for you and your schedule. Furnace maintenance is the best way to keep your unit in great shape and properly working for many years to come. Patriot Heating and Cooling offers bi-annual furnace maintenance programs to help prevent costly problems and repairs. Patriot Heating and Cooling Services, Inc. is proud to be the best HVAC company in your local area. We offer 24/7 Emergency support and provide same day service and next day installs! Patriot Heating and Cooling Services, Inc. are proud Rheem Specialists. 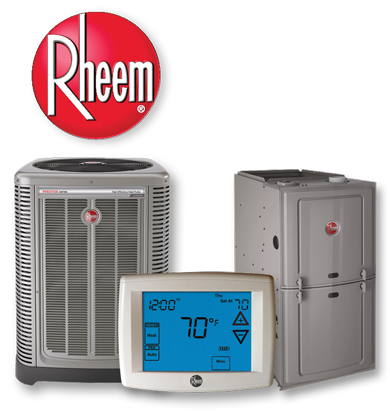 Rheem is an industry leader in heating, cooling, and indoor air products. Having been in business since 1925, Rheem has the experience and technical know-how to create the very best furnaces, air conditioners, water heaters, and more. Our technicians complete Rheem continuing education to keep up with the current technological advances in the HVAC industry. 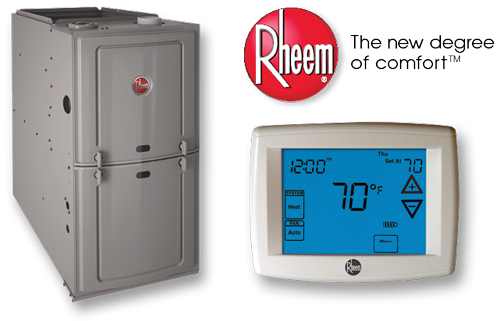 Learn more about the complete Rheem product line by visiting the official Rheem website.